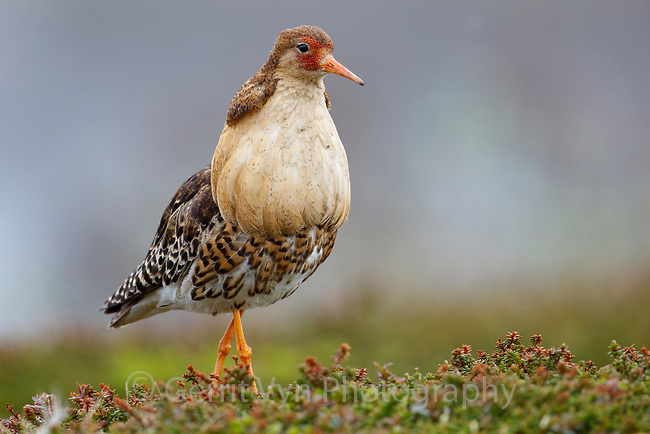 A territorial male Ruff (Philomachus pugnax) in it's full breeding plumage. Varanger, Norway. May.